According to reports in Italy via TeamTalk, Arsenal are ready to spend big money on a triple swoop to secure the signings of Rodrigo, Sokratis Papastathopoulos and Jakub Jankto this summer. New boss Unai Emery knows he needs to strengthen the squad he inherited from Arsene Wenger if we’re to break back in to the top four next season and another winger is needed. 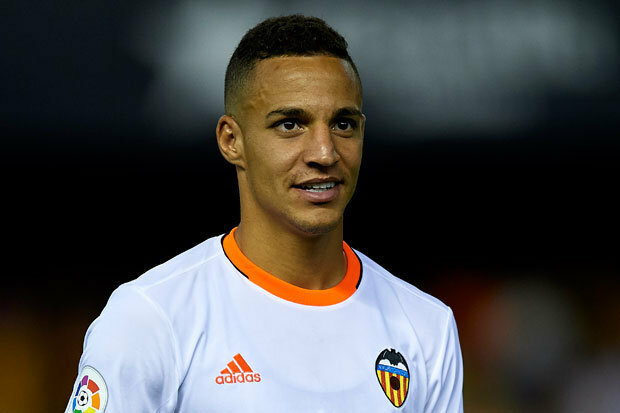 It seems Emery has identified his target as TeamTalk claims Arsenal are ‘due to sign’ Rodrigo for a fee of around £36m after being impressed by the Spanish international’s form for Valencia. The 27-year-old provided 19 goals and 7 assists last season and is capable of playing out wide or through the middle so he’d be a very useful member of the squad if we do end up signing him this summer. Sorting out our leaky defence is also a priority for Emery as we conceded 51 league goals last season and Sokratis has emerged as a prime candidate in recent weeks. The 29-year-old has just one year left on his contract at Borussia Dortmund and has failed to sign an extension so TeamTalk claims the centre-back will now join Arsenal in a £16m deal. Head of recruitment Sven Mislintat knows Sokratis well from their time together in Germany and it seems we’re buying the Greek international to add some experience to the back four with Per Mertesacker retired and Laurent Koscielny out for six months. Arsenal also need to strengthen our midfield as Santi Cazorla has left the club and Jack Wilshere is being tipped to follow him out the exit door after failing to agree terms over a new deal. TeamTalk are citing a report from Italian outlet Messaggero Veneto that claims Arsenal are eyeing Jankto after Udinese made it clear the midfielder can leave if they receive a suitable offer. The Czech international has been linked with a move to the Emirates for some time and it seems we may now renew our interest as Emery looks to reshape his midfield ahead of next season. Jankto has been in excellent form for Udinese in recent years and the 22-year-old looks to have a bright future ahead of him so he’d be a solid addition to the squad if we could get a deal agreed.